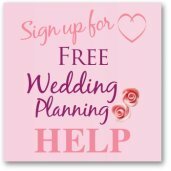 Informal weddings are great as they are relaxed and chilled, but you will still want your reception area to look beautiful, it just won't be over the top and expensive! 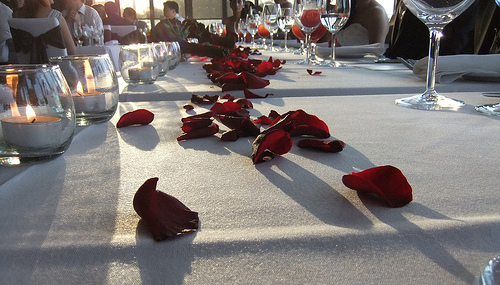 You could scatter rose petals on the tables and then have candles dotted along the table. Shop around for your rose petals as you can have fresh petals, silk petals and freeze dried petals. Fresh petals won't stay fresh through a hot day and they can get bruised by guests playing with them when they have sat down. But they are fresh and there is something about having fresh petals scattered on the tables. Whatever you do, don't think you will be able to "make" your petals yourself as you will need a load of flowers to do this! 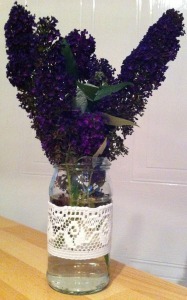 Ask your florist how much it will be for them to provide them. The next best alternative to the real thing is freeze dried, and they do last, look stunning and very natural. 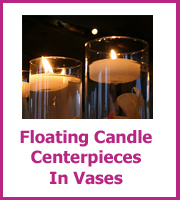 However not great for submerging in a vase with floating candles as they will take on some of the water. They can be expensive unless you buy them from a wholesaler. Silk petals you could buy the year before in a sale and they will still look good! If you are the organized sort then this is the one for you. 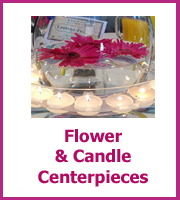 Plus they work floating in water as part of your centerpiece.You will have more choice on colors but make sure you buy from a wholesaler rather than a craft store as they are expensive in smaller quantities. Find as many different style vases to display your flowers and these could be jars, Mason jars, teacups and even tin cans. Or you could ask all of your friends and relatives if you could borrow vases from them for the day. You can also quite often pick up cheap vases at the dollar store. To create a relaxed look you will want vases that kind of match but that are not exactly the same. Then have bunches of flowers in each vase, do not go for a uniform look for each vase instead think about the overall look. Mason jars or jars (think pasta sauce) as wedding centerpieces have been popular for a while now but they do still work really well and you can decorate the jars by tying ribbon or straw around the top. A Martha Stewart centerpiece idea that would work here is to use paper doillies and have these decorating the sides of the jars. You can also add tealights or floating candles in some jars and have these mixed in with the vases of flowers which is great if your reception is going on until the evening. The flowers that you choose will create the relaxed feel of your wedding reception, and the best way to do that is to use flowers that are local to your area and in season. These daffodils worked really well as a simple Spring centerpiece, 2 bunches of daffodils in each bubble vase, you can't get simpler than that! If you have a keen flower gardener in your family maybe you could ask them if they would grow the flowers for your wedding. Tablecloths make all of your tables look the same which althought this is informal you don't want all of the tables that you have borrowed looking like a big mismatch. 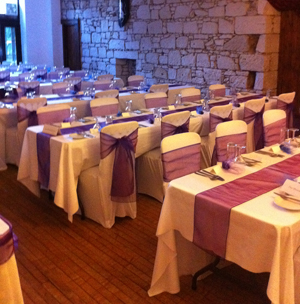 If you are renting banquet tables they will need a table cloth as they look awful without them. You can rent plain white linen and then have colored tulle as the table runner along the table. Or if you are going for a vintage themed garden party then you could look at picking up pretty table linens at consignment or thrift stores. You may still need to have white linen cloths under these as they may not fit the whole table. If you were thinking of having a bbq party then you could use paper cloths as that fits with the theme and have paper napkins as well. 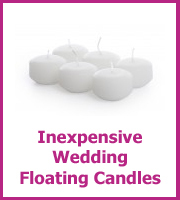 Candles are relatively inexpensive and if your wedding reception is going on into the evening then these will add an extra sparkle to your wedding table decoration. I love the look of candelabras and think they look good everywhere but you may prefer something more modern. 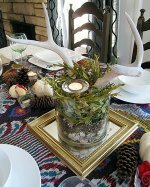 To keep the look informal you could use jars with floating candles or have pillar candles on plates. 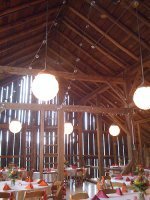 Lanterns are a classic look for an outdoor themed wedding and you could have these on the tables but also hanging in the trees or from the posts. The added sparkle that confetti and the mini jewels can add to your tables is nice to have if you can afford it in your budget. But they are not going to look great on their own on your tables as they will look lost. 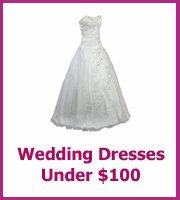 They are an additional expense but if you want them make sure you shop around!